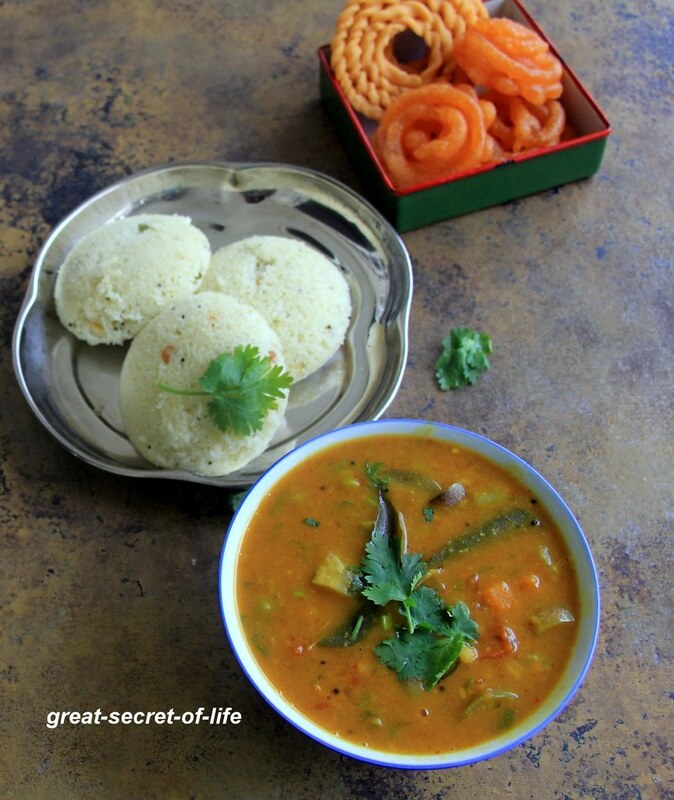 I love to try different sambar recipes for idli / dosa. My husband can have sambar with literally anything. 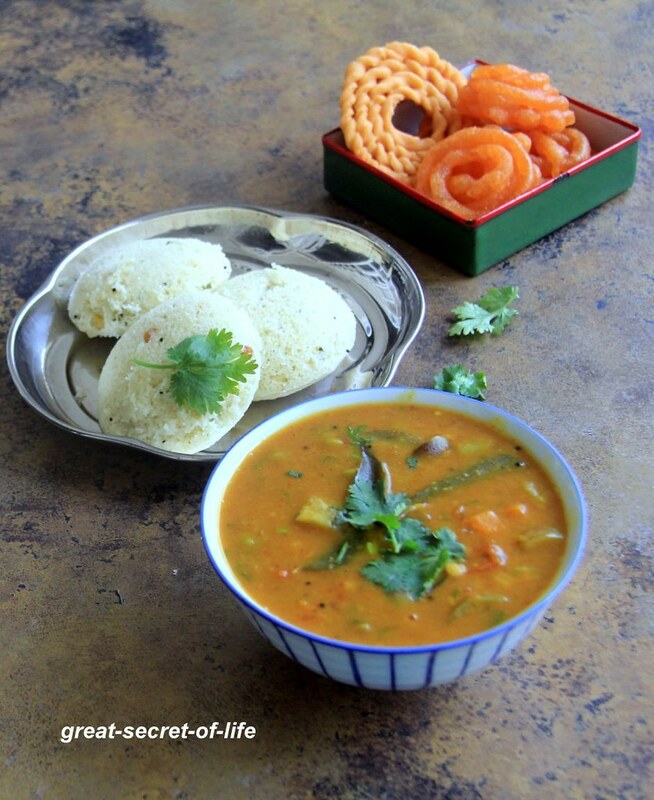 My mum does idli sambar with toor dal and moong (yellow split) dal. However I do this version quite often too. I wanted to post it with video. Finally made it. It is quite flavourful because the powder is made with fresh spices which is fried in little bit of ghee. I like the Ghee smell but if you prefer oil you can use oil to fry too. It goes well with idli / rava idli or dosa. You can add your favourite vegetables. Sometimes I add 2 tablespoon of coconut but this version has no coconut added. 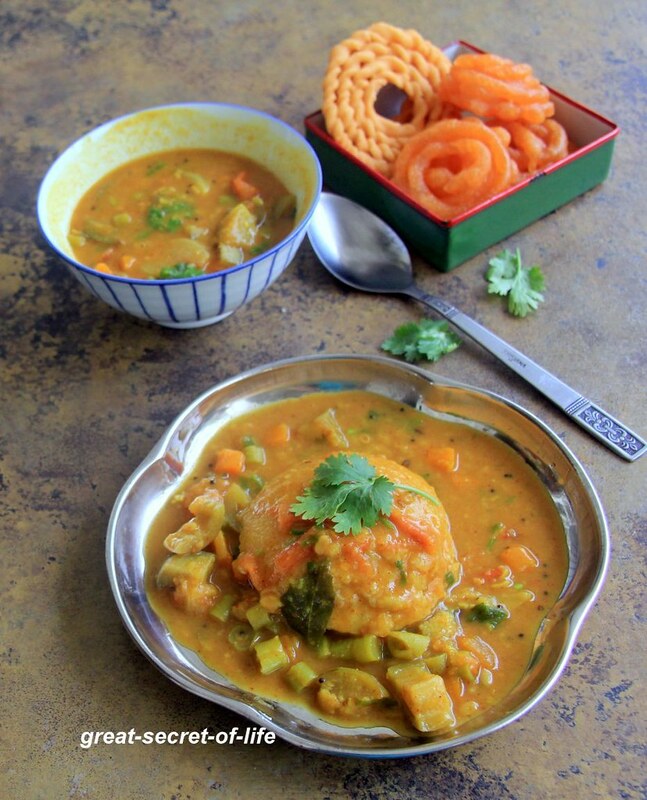 Cook Dal (Place tamarind in a bowl with water while cooking dal) with 1/2 teaspoon of oil. Once cool down add required water to make tamarind water. Heat pan with oil. Add Mustard seeds and let it pop. Add cumin seeds, urad dhal, Curry leaves, Red chillies. Fry till brown color. Add Onion and chopped tomatoes Fry with Salt. Now transfer this to a pressure pan and cook till 1 whistle.